North Lands Creative Board of Directors Opportunities! board training and development sessions. You will also be expected to attend events at North Lands Creative and to represent the company at external functions. Board Members will serve for a term of three years and be eligible to serve for an additional 3 years as determined by the Company’s Articles of Association. To advance and further the education of the general public in Caithness and in Scotland generally of the artistic value and merits of, the design of, the uses and applications of and the methods and techniques of producing glass in all its forms, including but not restricted to creative glass and to encourage the study and appreciation of creative glass and to encourage and foster research, collaboration and co-operation between those involved in the creative glass industry to enable the general public to attain an appreciation of the artistic merits and applications of glass in all its art forms including but not restricted to creative glass. 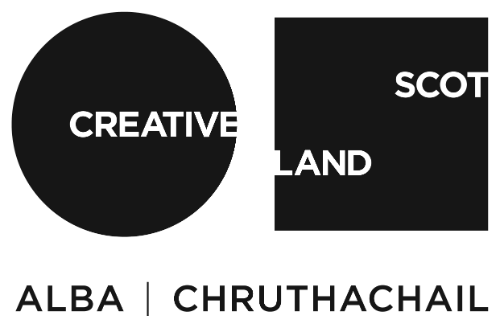 To nurture and support excellence and experimentation in the creative use of glass in all forms of art and design by artists, creative industries and our community, inspired by the wild and dramatic landscape of Caithness. North Lands Creative will strengthen its international standing as one of Europe’s principal centres of excellence for nurturing the creative use of glass in all forms of art and design. We want NLC to be an active creative hub that celebrates glass as a creative material and artform and that creates life-changing experiences that resonate for years to come. We encourage international glass artists to share their skills and knowledge and have first class facilities to make their work. We want artists who have not worked with glass to be excited by its qualities and potential. It is important for NLC to offer learning opportunities for our community, particularly young people, to discover their own creative talents through glassmaking. All of this, we want to do in the context of our place where the wild, dramatic landscape and heritage is a stimulus to creativity and an inspiration. range of people. Through development of our programmes and dialogue with our audiences we will make the best use of all of our spaces and resources to achieve a balance between continued physical expansion and retaining the character of NLC. We will view access in its widest terms from local educational activity to extending our digital audiences. The above information should be emailed to Karen Phillips, Director at director@northlandscreative.co.uk by Friday June 29th 2018. Candidates will be short listed by the current board members and invited to meet with members of the board and the Director to discuss board membership. The successful candidates will then be invited to join the board and will take up their position at the next full board meeting. For more information, please download the NLC Board Application Pack. North Lands Creative was incorporated on 4 July 1995 and is a company limited by guarantee, not having a share capital and is a registered charity no SCO23805. The liability of the members of the company is limited to £5 in the event of the company being wound up. The company is governed by its Memorandum and Articles of Association. Registration no 159007.